The Des Moines Radio Amateurs Association maintains an analog 2-meter repeater on 146.940 (negative shift) with a PL tone of 114.8. This repeater is maintained by membership dues and donations. It is identified by the callsign WØAK and is located in Des Moines at Fleur Drive and Park Avenue. 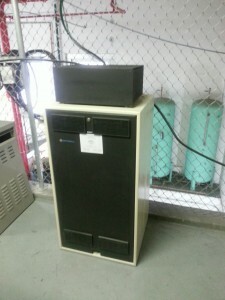 The repeater is a Kenwood TKR-750K2 with a Kenwood KSGPA22512 110 watt PA, TXRX duplexer and a rack mounted 35 amp power supply with battery back-up. The present system was installed January 2014. 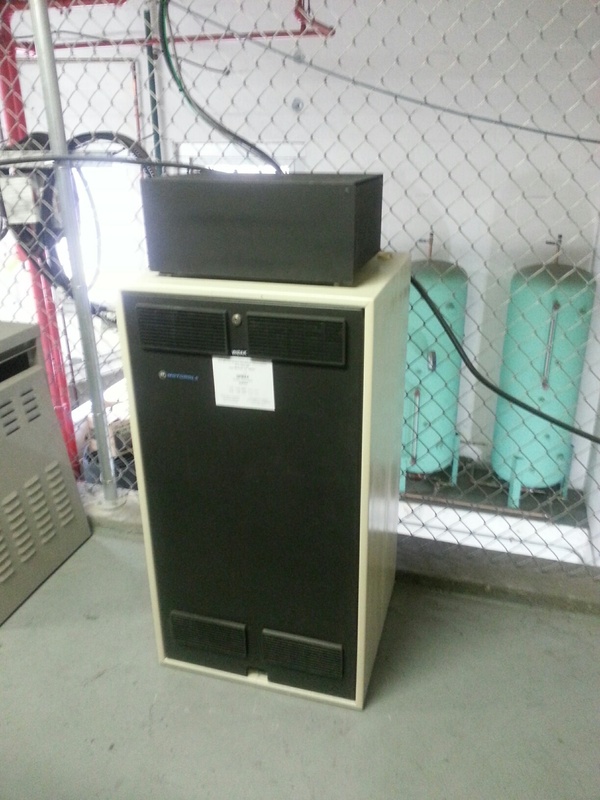 DMRAA’s third repeater WØAK-3 is a Yeasu Fusion DX-2 located at Broadlawns Medical Center. For information on the Mid-Iowa Skywarn linked system, click here. The DMRAA, in conjunction with the Des Moines Amateur Radio Technical Society (ARTS), established Iowa’s first D-STAR (Digital Smart Technologies for Amateur Radio) repeater system and is located in Grimes under the callsign KDØIAN. 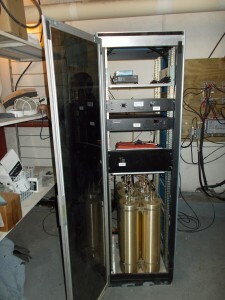 The KDØIAN system employs 144MHz digital voice, and 440MHz digital voice. The KDØIAN system is funded by members of both clubs as well as generous donations from the Iowa amateur radio community. Click here for the D-Star User Guide v1.4(PDF). System status can be found at http://kd0ian.dmraa.com. It is recommended that users register for gateway use with their nearest repeater. You only need to register once to use the gateway on any D-STAR repeater. Questions regarding the D-STAR system should be directed to administrators Mike Waldron (AEØMW), Larry Vandewater (NØBKB), and Tom Reis (NØVPR). Digital mobile radio (DMR) is an open digital mobile radio standard defined in the European Telecom comunications Standards Institute (ETSI) Standard TS 102 361 parts 1–4 and used in commercial products around the world. DMR uses two-slot TDMA in a 12.5 kHz channel. The standard has become popular within the amateur radio community due to the relative lower cost and complexity compared to other commercial digital modes. DMR was designed with three tiers. 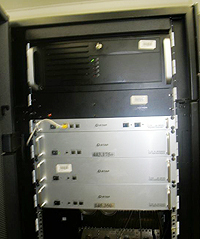 DMR tiers I and II (conventional) were first published in 2005, and DMR III (Trunked version) was published in 2012, with manufacturers producing products within a few years of each publication. There are dozens of DMR repeaters across the state of Iowa. There are several in the Des Moines area. If you have access to a DMR repeater, then you have the ability to connect with repeaters in the state or world. In order to use a DMR radio to connect outside the local repeater, you will need to be registered. To obtain a registration number go to Radio ID https://www.radioid.net/#! and follow the directions under the “Register” tab at the top of the page. The DMRAA maintains the WØAK APRS digipeater which is located in Des Moines at Fleur Drive and Park Avenue. Iowa uses the nationally-recognized APRS frequency of 144.39. There are numerous digipeaters and i-gates spread throughout central Iowa. For a map of recent APRS activity in Des Moines, click here. Website login | Webmail login | 39 queries. 0.289 seconds.